Saint Martin’s University will open its doors to 15 local fiction writers for the second installment of its Summer Creative Writing Institute. The small, week-long intensive invites writers of all ability levels to live and work on campus, collaborate with peers, learn from professionals in the field and develop their writing skills along the way. From playwriting workshops with Bryan Willis to one-on-one sessions with acclaimed Olympia novelist Jim Lynch, participants will have the opportunity to expand their creative ranges and to flourish both individually and as a community of Pacific Northwest writers. This year’s mentor, Jim Lynch, is the author of four novels and winner of the Pacific Northwest Bookseller Award for his 2005 book, The Highest Tide, as well as the Washington State Book Award and Indie’s Choice Honor Book Award for his second novel, Border Songs (2009). Lynch was kind enough to share some insight into this year’s Summer Institute with OLY ARTS. OLY ARTS: What sort of work will the students be doing throughout the course and how will you be helping them? Lynch: I will be giving morning lectures on how to go about writing fiction, then the students will have a day full of writing activities and meet one-on-one with me to discuss the short stories or novels they are working on. 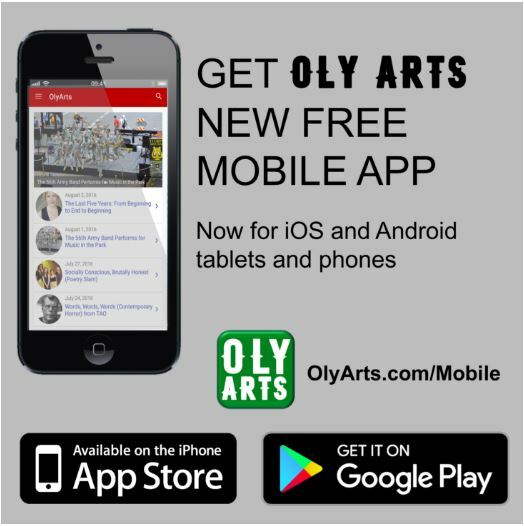 OLY ARTS: What do you hope students will take away from the program? Lynch: I hope students will get a better sense of the skills, discipline and attitude it takes to write good fiction, … a growing excitement with their own potential and a more realistic understanding of the publishing world. OLY ARTS: What makes fiction writing so important to you? What can be gained from fiction that is not the case for other genres of writing? Lynch: I see fiction as a thrilling opportunity to describe how life really feels. Writing made-up stories is one of the few ways you get to be other people. Writing good nonfiction forces you to be observant, but writing good fiction also demands curiosity and empathy. Done well, it is rewarding and illuminating. OLY ARTS: What do you think sets Saint Martin’s Summer Creative Writing Institute apart from other programs? Lynch: I don’t know of many similar programs. This institute strikes me as the fun and perfect one-week boot camp for writers looking for a jolt, for the instruction, support and insights they need to give fiction writing a serious try. Last year’s students amazed me. They ranged in age from 20 to 70 and their stories ranged from a children’s book to science fiction to a murder mystery in Palestine. I walked away inspired by them and I am really looking forward to this year’s class.